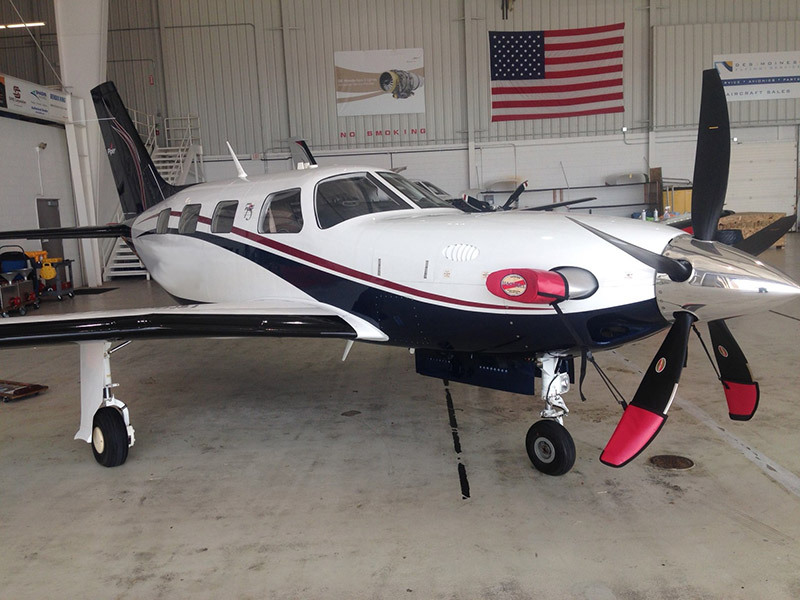 We are Proud to Announce that Hartzell has developed a five blade prop to replace the factory four blade prop on the Piper Meridian. We have installed three conversions so far at Des Moines Flying Service and are pleased to tell you that the prop has exceeded the performance numbers given. The performance Gains experienced by our customers are as follows: 3-5 knot gain in cruise, 20% greater takeoff acceleration, quieter cabin, 16 lbs. useful load gain, 90 ft./ Min climb gain. And what Hartzell doesn’t tell you is it will reduce the beta necessary to stay put at Idle. The new prop also will help with deceleration when you pull the throttle back in cruise as well as better stopping power in Beta. For additional information contact Todd Theulen or Josh Boyd.